Growing up my mum would throw these parties, you know, the kind with lots of food and inevitably Savories would be on the menu. I remember her making dozen after dozen in the week leading up to the event and stacking them in plastic bags in the freezer. 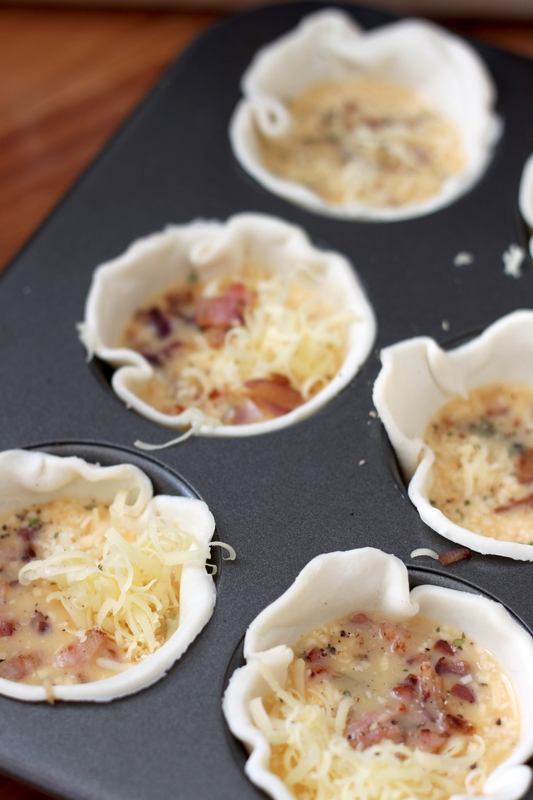 I grew up calling these little egg tarts Savories and they really are no more than that; very simple to make and people love them – bacon and cheese how could you go wrong?! 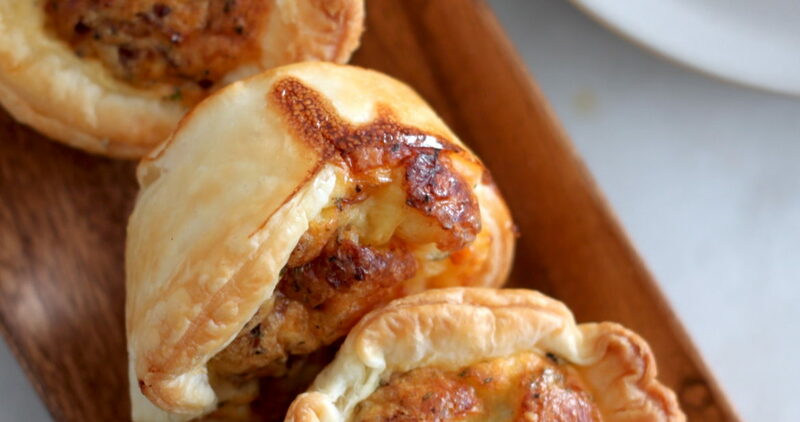 Just another quick appetizer option perfect for your next gathering! Quick note – you’ll notice from the picture below that I cheat. Yes, its true! 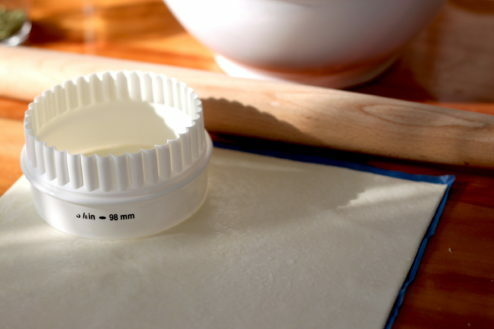 When I cut pastry, I cheat in the corners. 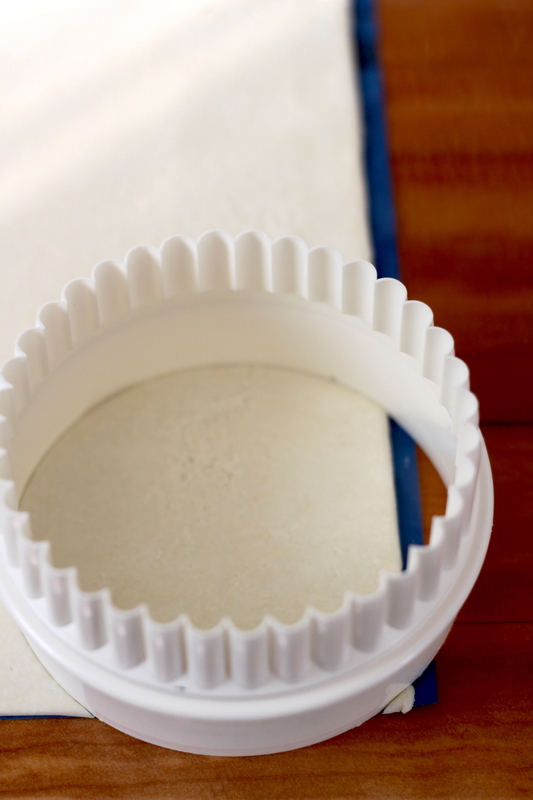 My kitchen counter is cramped and I can’t be bothered getting out my French rolling pin, so I just cut it a bit short in the corners and stretch it out by hand. I put my scraps together to make enough for just one more pastry round! Another cheat! 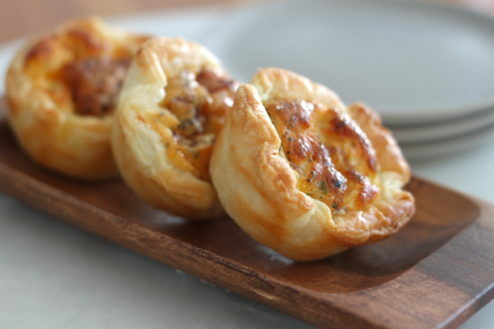 I grew up calling these little egg tarts Savories and they really are no more than that; very simple to make and people love them - bacon and cheese how could you go wrong?! Just another quick appetizer option perfect for your next gathering! 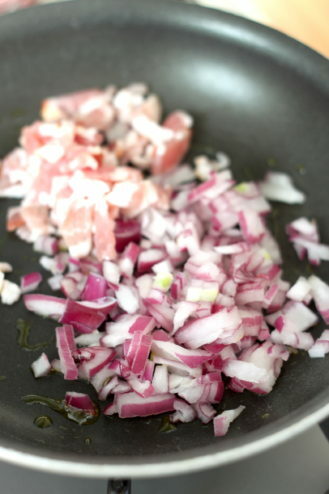 In a small skillet, add the olive oil and cook bacon and onions until the onions are translucent and the bacon is beginning to crisp. Remove from the heat and spoon onto a paper towel lined bowl and set aside. 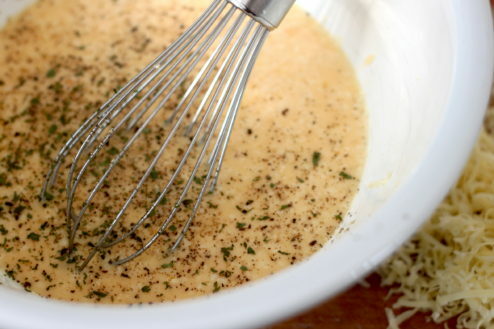 Meanwhile, in a medium mixing bowl, whisk the eggs, milk, salt and pepper together until combined and then fold in the grated cheese. 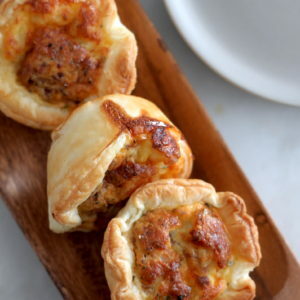 Cut out twelve 3 ½ inch (96 mm) rounds from the puff pastry and place in a nonstick muffin tin, pushing down until pastry forms a cup. 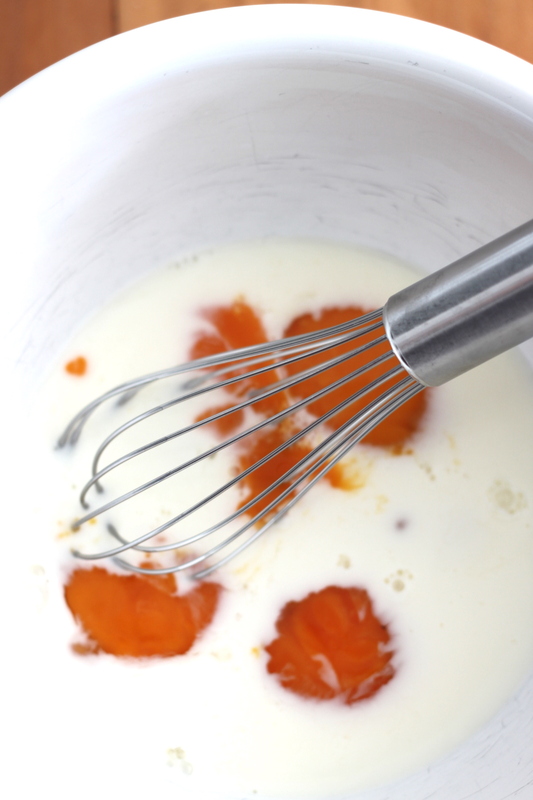 Spoon egg mixture into each pastry cup approximately ¾ full, followed by a sprinkle of the bacon and onion mixture into each. 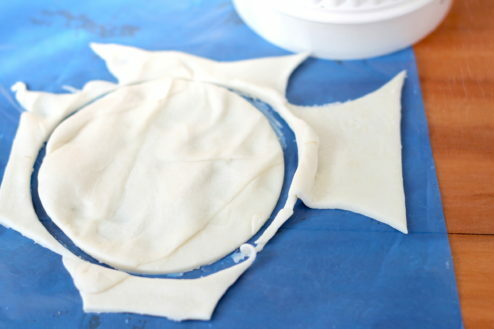 Bake in the oven for 15 to 20 minutes or until golden brown. 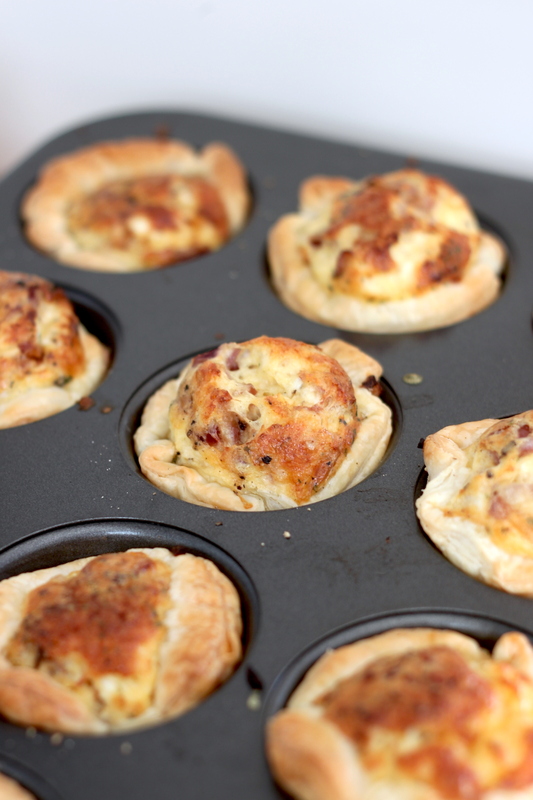 Remove from the oven and let cool for 5 minutes before removing from the muffin tin.